A middle-age man, who usually disguises as a lunatic yet alleged to be a kidnapper and ritualist, was on Monday apprehended in Akure, the Ondo Capital. The “madman”, who was arrested with two mobile phones was said to have been apprehended by some neighbourhood vigilante operatives in Orita Obele area of the capital city after noticing his suspicious movement. According to an eyewitness, Ganiyu Yusuf, the suspected kidnapper confessed to be from Edo State and simply gave his name as Adetoyinbo. Yusuf disclosed that some charms and ritual substances were found in the man’s pocket, adding that timely intervention of policemen rescued the suspect from being set ablaze by angry residents. He said, “This guy was caught around Orita-Obele estate along roadblock Akure, Ondo state. 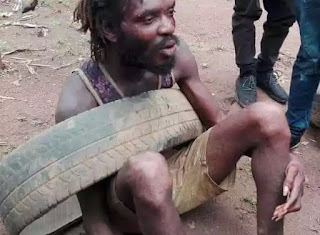 He was caught by some good Nigerians who have been on his trail for about two weeks after suspecting he’s a kidnapper and only pretending to be a mad man. He was caught with two phones. “He confessed he’s from Edo state and has been kidnapping in Akure for sometimes now but refused to mention his boss’ name. 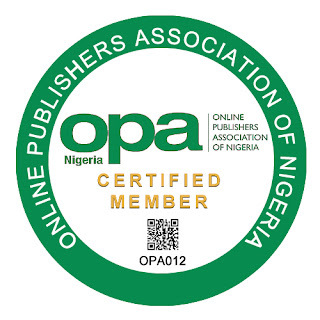 the police has intervened before the public set him ablaze, he’s presently in Okuta Elerinla police station. Please let’s be vigilant, and God will continue to expose the evil doers. Confirming the arrest of the supposed lunatic, the Police Public Relations Officer, Mr Femi Joseph said the man was accused to have chewed and swallowed the SIM card of his phone when he was apprehended. The PPRO explained that the man was still in police custody for further investigations.